El Pollo Loco, Inc. (“El Pollo Loco” or “Company”) (Nasdaq: LOCO), the nation’s leading fire-grilled chicken restaurant chain, today announced the appointment of industry veteran Hector A. Muñoz as Chief Marketing Officer, effective December 3rd. Mr. Muñoz brings over 25 years of QSR experience and successful marketing leadership for some of the industry’s leading global brands. Mr. Munoz’s appointment comes on the heels of the addition of Jennifer Jaffe, El Pollo Loco’s first Chief People Officer, further strengthening the El Pollo Loco senior leadership team. Mr. Muñoz was most recently Executive Vice President and Global Chief Marketing Officer at Church’s Chicken, where as a member of the Executive team, he led all global marketing efforts for both the Church’s Chicken and Texas Chicken brands, with leadership responsibilities for brand strategy and sales development. Under his leadership, Church’s Chicken recorded five consecutive quarters of positive global same store sales, the best performance of its kind in more than 10 years. Prior to Church’s, he spent six years as the U.S. Chief Marketing Officer for Popeyes Louisiana Kitchen, Inc., where he played a key role in achieving 24 consecutive quarters of positive same store sales. Mr. Muñoz also served as Vice President of Global Brand Image and New Concept Strategy for Burger King Corporation, where he held multiple positions over a 12 year period, and held marketing and advertising leadership roles for Long John Silver’s, Bruegger’s Bagels and Bozell Worldwide. In his role as Chief Marketing Officer, Mr. Muñoz will be responsible for overseeing all Marketing and Brand Strategy functions, including menu and new product development, advertising and PR, digital and social media and consumer engagement for El Pollo Loco’s more than 480 company-owned and franchised restaurants. A Los Angeles native, Mr. Muñoz grew up in the restaurant business, learning the ropes from his father, a successful restaurant entrepreneur. He earned a Bachelor of Science in Marketing Management from Cal Poly University and a Masters of Business Administration in International Business from the University of Miami. He serves on the President’s Council at the University of Miami and is an Executive Advisory Board Member for the Atlanta chapter of the American Marketing Association. El Pollo Loco (Nasdaq:LOCO) is the nation’s leading fire-grilled chicken restaurant chain renowned for its masterfully citrus-marinated, fire-grilled chicken and handcrafted entrees using fresh ingredients inspired by Mexican recipes. With more than 480 company-owned and franchised restaurants in Arizona, California, Nevada, Texas, Utah, and Louisiana, El Pollo Loco is expanding its presence in key markets through a combination of company and existing and new franchisee development. Visit us on our website at www.elpolloloco.com. American Blue Ribbon Holdings, LLC (ABRH), which owns and operates four restaurant groups and an award-winning bakery concept, has name Mark Spurgin as Senior Vice President of Supply Chain. With more than 20 years of supply chain leadership experience within the restaurant and foodservice industries, Spurgin now has management responsibilities focused on the supply chain operations of all ABRH concepts. Spurgin joins ABRH following one year with California-based Cheesecake Factory where he was most recently VP Global Procurement, Logistics, and Compliance. Prior to joining The Cheesecake Factory, Spurgin served from 2009 to 2016 in various senior supply chain positions with Tampa, FL based Bloomin’ Brands. Spurgin held strategic supply chain roles with Maui Land & Pineapple Company, TXU Energy/Energy Future Holdings Corporation, and Frito-Lay North America prior to joining Bloomin’ Brands. A graduate of Texas A&M University, Spurgin earned a Bachelor of Science degree in Agricultural Economics, with a minor in Agribusiness. Based in Nashville, TN, ABRH currently owns and operates four restaurant groups including O’Charley’s, Ninety Nine Restaurant and Pub, Village Inn and Bakers Square. Additionally, ABRH owns and operates Legendary Bakery, an award-winning baker of gourmet pies and premium desserts sold to restaurants, independent bakers, retail/grocery customers and other food service customers. Bill DiPaola named COO and Leslie Monson named CMO at the operator of PJ’s Coffee. Ballard Brands, the Covington, La.-based operator of Wow American Eats, PJ’s Coffee of New Orleans and the Original City Diner, on Monday named Bill DiPaola its chief operating officer and Leslie Monson its chief marketing officer. DiPaola had previously been the vice president of Rotolo’s Pizzeria and was the president of Dat Dog. At Ballard he will work to help franchisees with their day-to-day operations. He will also work to developing the company’s brands. Monson, meanwhile, has 17 years of marketing experience with Churchill Downs’ Fair Grounds Race Course & Slots, Harrah’s New Orleans Casino and Planet Beach. She will oversee the company’s marketing. “Bill and Leslie are joining the team with a depth of knowledge and experience in the franchise industry and we are confident they will help these brands expand their footprint and help franchisees grow,” Ballard President Peter Boylan said in a statement. Ballard Brands was founded in 2001 by a trio of brothers who had success operating retail franchises like Smoothie King and PJ’s Coffee. They now operate Boardhouse Serious Sandwiches and Ole Saint. And it manages Eloisa Restaurant and Filmore in the Oaks. The brands collectively operate 155 locations. Louis Psallidas Steps Down as CEO. Louie Psallidas is stepping down as CEO of Uno Restaurant Holdings, he announced on his LinkedIn page Wednesday. Jim Ilaria, former CEO of a large Applebee’s franchisee and a longtime industry executive and private equity operator, was picked to replace him. Psallidas was first named CFO of the Boston-based chain in 2008 and was promoted to CEO in 2014. Uno operates 100 locations, primarily in New England, Florida and Chicago. The company recently refranchised eight restaurants in Maryland and Virginia to a franchisee, Bastian Restaurant Group, as part of a plan to sell company stores to franchisees. The company is owned by the investment firm Newport Global Advisors. Ilaria said he is “honored and excited to be leading such an iconic American brand” that will celebrate its 75th anniversary next year. And he described a “three-pronged growth plan” to add new units domestically and internationally. The first prong is to develop a new, low-cost conversion package aimed at operators of casual-dining restaurants that are losing money. A bar and grill concept could be easily converted to an Uno with the addition of a pizza oven. “Some of these markets have good sites but the trade area has voted that they don’t want their offering,” Ilaria said. Outside the U.S., the company has developed Uno Next, a pizza-focused prototype designed to bring the brand into new markets. And the company plans to work with operators in nontraditional locations such as airports to bring Uno’s grab-and-go offerings there. Ilaria said that the company does not plan to sell all of its locations to franchisees, as some other brands have done. “I’m a big fan of having some company stores to drive trial and show franchisees we have skin in the game,” he said. And Ilaria noted that, as a former executive with both franchisors—he was once an interim CEO of the Hot Stuff Foods franchise—and franchisees, he could relate to a franchise system like Uno. “I have a strong focus on our franchisees’ four-wall profitability,” he said, adding that he believes in working with operators to develop marketing programs that increase the brand’s market share. Jim Fris had served as COO for the company, which operates P.J. Whelihan’s Pub and others. PJW Restaurant Group, the New Jersey-based company that operates P.J. Whelihan’s Pub and several other concepts, has a new CEO. Jim Fris, the group’s current chief operating officer, takes over the top spot from founder Bob Platzer. Platzer becomes executive chairman and will stay involved in concept development, real estate ventures and philanthropy. Fris will be charged with opening new units, innovating the brand and investing in current locations. PJW Restaurant Group was founded in 1983 and currently operates 22 units, including P.J. Whelihan’s, steak and seafood concept The ChopHouse, casual Italian eatery Treno Pizza Bar, and craft beer tavern The Pour House. The company is slated to open two new concepts in coming months, Central Taco and Tequila and ChopHouse Grille. Yum! Brands, Inc. (NYSE: YUM) today announced that Brian C. Cornell, Chairman and Chief Executive Officer of Target Corporation (NYSE: TGT), has been appointed by the Yum! Brands Board to serve as Non-Executive Chairman of the Board. Mr. Cornell, 59, has served on the Yum! Brands Board since 2015. He will succeed Robert D. Walter, 72, who is retiring from his role as Yum! Brands Non-Executive Chairman. “We sincerely thank Bob Walter for his strong leadership, invaluable insights and many significant contributions to Yum! Brands, particularly during this exciting and transformative time for our company as we’re becoming more focused, more franchised and more efficient,” said Greg Creed, Chief Executive Officer, Yum! Brands. Mr. Walter, founder and retired Chairman and Chief Executive Officer of Cardinal Health, Inc., joined the Yum! Brands Board of Directors in 2006 and was appointed the Company’s Non-Executive Chairman in 2016. Mr. Walter will remain a member of the Yum! Brands Board. “At the same time, I’m thrilled that Brian Cornell has agreed to become Non-Executive Chairman of Yum! Brands, ensuring a seamless transition of the Board’s leadership. Brian’s tremendous leadership of one of the world’s largest and most innovative retailers has brought a unique perspective and wealth of knowledge, consumer insights and best practices to Yum! Brands. I’m extremely confident that Brian will make an exceptional Non-Executive Chairman of Yum! Brands as we continue to leverage the collective power of our iconic KFC, Pizza Hut and Taco Bell brands to help us deliver long-term sustainable growth and higher returns for our stakeholders,” Mr. Creed added. Mr. Cornell has more than 30 years of experience at leading retail and global consumer product companies. Prior to joining Target in August 2014, Mr. Cornell served as CEO of PepsiCo Americas Foods where he oversaw the company’s global food business, the largest of PepsiCo’s four divisions. He was responsible for a portfolio that included Frito-Lay North America, Quaker Foods and all of PepsiCo’s Latin America food and snack businesses. Before joining PepsiCo in 2012, Mr. Cornell served as President and CEO of Sam’s Club, a division of Wal-Mart Stores, Inc. He also held the position of CEO at Michaels Stores, Inc., and prior to that, Executive Vice President and Chief Marketing Officer for Safeway. Mr. Cornell serves as Chairman of the Retail Industry Leaders Association (RILA), the trade associativon of the world’s largest and most innovative retail companies. He is also a member of the Board of Directors of Catalyst, a global nonprofit organization focused on empowering and accelerating women in business, and the Smithsonian’s National Museum of African American History and Culture. Dickey’s Barbecue Pit, the largest barbecue franchise in the world, announces the addition of Jim Perkins, Vice President of International Sales. In his new role at Dickey’s, Jim will work with the Franchise Sales team to continue to grow the Dickey’s Barbecue Pit brand internationally. Jim brings a full career of restaurant operations to the Dickey’s Barbecue Pit family along with more than 10 years of international operations and development experience. Most recently, Jim worked with MAM Food Co., a Dubai, United Arab Emirates food and beverage company, and Papa Murphy’s; assisting both with their international development and partnering with them operationally after opening. Find your nearest Dickey’s Barbecue Pit location here. Find more information about national and international franchise opportunities here. About Dickey’s Barbecue Restaurants, Inc.
Dickey’s Barbecue Restaurants, Inc., the nation’s largest barbecue chain was founded in 1941 by Travis Dickey. For the past 77 years, Dickey’s Barbecue Pit locations across the nation have served guests Legit. Texas. Barbecue.™ At Dickey’s, all meats are smoked low and slow on-site, every night in every location. The Dallas-based family-run barbecue franchise offers several slow-smoked meats and wholesome sides with ‘No B.S. (Bad Stuff)’ included. The fast-casual concept has expanded worldwide and includes more than 500 locations in 44 states. In 2016, Dickey’s won first place on Fast Casual’s “Top 100 Movers and Shakers” list and in 2018 Dickey’s Barbecue Pit made the Top 10. Dickey’s Barbecue Pit has also been recognized by Entrepreneur Magazine, Franchise Times and Nation’s Restaurant News. For more information, visit www.dickeys.com. Fiesta Restaurant Group, Inc. (“Fiesta” or the “Company”) (NASDAQ:FRGI), parent company of the Pollo Tropical® and Taco Cabana® fast-casual restaurant brands, today announced that Sherrill Kaplan has been appointed to serve as an independent member of the Board of Directors effective November 14, 2018. Inclusive of her appointment, the Fiesta Board of Directors will be comprised of nine members, including eight independent members, until the 2019 Annual Meeting of Stockholders. Ms. Kaplan is currently the Head of Marketing and Sales at Zipcar, the world’s leading car-sharing network. She is responsible for demand and revenue generation and oversees all marketing functions from digital and social media to partnerships and product marketing. Previously, she served as the Vice President of Digital Marketing & Innovation at Dunkin’ Brands from 2011 to 2018, where she was responsible for strengthening and growing Dunkin’s digital presence in the U.S. Prior to her tenure at Dunkin’, Ms. Kaplan held various high-level marketing positions at Citi, Circles, and Cartera Commerce. Ms. Kaplan has also been a member of the Consumer Advisory Board for American Express since 2015. Ms. Kaplan holds a BS from Boston University and an MBA from the University of Denver. About Fiesta Restaurant Group, Inc.
Fiesta Restaurant Group, Inc. is the parent company of the Pollo Tropical® and Taco Cabana® restaurant brands. The brands specialize in the operation of fast-casual restaurants that offer distinct and unique tropical and Mexican inspired flavors with broad appeal at a compelling value. For more information about Fiesta Restaurant Group, Inc., visit the corporate website at www.frgi.com. Long John Silver’s, the nation’s largest quick-service seafood chain, today announced the hiring of Blain Shortreed as the company’s new Chief Operating Officer, effective January 1, 2019. In this role, Shortreed will lead franchise operations for Long John Silver’s as well as oversee internal company operations and restaurant development. Shortreed has over 25 years of global restaurant experience, specifically in Franchise Operations. Previously, Blain was the Managing Director of Pizza Hut’s Middle East/North Africa business. Prior to this assignment, Blain was the Vice President of Operations for Pizza Hut USA. In this capacity, Blain led operations for more than 6,000 restaurants and spearheaded the brand’s World Class Operations initiative. Shortreed is joining the LJS team at a turning point in the brands trajectory. In March of 2018, Long John Silver’s opened a new flagship restaurant in Louisville, Kentucky, featuring a new, vibrant and modern design. The menu features all their classic battered Fish, Chicken and Shrimp, along with a new Grilled Seafood Menu which includes grilled fish tacos and grilled salmon bowls paired with long grain rice. Long John Silver’s is currently planning a significant expansion of grilled menu items in 2019, in which, Shortreed will play a critical role. Long John Silver’s is a classic American brand founded in 1969 and stands today as the nation’s largest quick-service seafood chain with nearly 1,000 restaurants in the U.S. Long John Silver’s is famous for its pure, wild-caught Alaskan whitefish hand-dipped in its signature batter and lightly fried to golden perfection. Learn more at www.ljsilvers.com or join the conversation via social media on Twitter, Facebook, or Instagram. Pei Wei Asian Kitchen announced today that Chris Andrews has been elevated to the new position of Chief Information Officer, effective immediately. Andrews, who previously served as Vice President of Information Technology, has been with the company since July 2017. In that role, he has built out a new stand-alone IT organization, best-in-class digital platform and all cloud-based infrastructure as well as playing an instrumental role in Pei Wei’s headquarters move from Scottsdale, Ariz., to Irving, Texas. In his new role, Andrews plans to focus his energies primarily on digital innovation and developing guest-impacting technology. He will continue to report directly to Brandon Solano, Pei Wei’s Chief Marketing & Digital Officer. Prior to joining Pei Wei, Andrews served as VP of Infrastructure & Corporate Development for The Freeman Company. He also headed up the IT division at On The Border and oversaw systems architecture and integration for CEC Entertainment. Throughout his career, he has excelled at building strong technology support teams and developing integrated, company-wide technology. Andrews has presented at MURTEC, Pervasive Software’s IntegratioNEXT 9 and InnoTech Dallas and has given multiple governance/risk management/compliance presentations to students at LSU and UTA. Andrews earned his BBA degree from Texas Wesleyan University in 1997 and his Master of Professional Accounting (MPA) from The University of Texas at Arlington in 2010. Pei Wei Asian Kitchen is transforming the industry through its Clean Label initiative, The Wei Forward™, which emphasizes wholesome, fresh foods and menu transparency. To support its belief that consumers have the right to know what’s in their food, the brand petitioned the FDA to require restaurant chains to disclose their menu ingredients. Founded in 2000, Pei Wei is the leading fresh Asian, fast-casual restaurant brand, where bold, Asian flavors couple sit-down quality with take-out convenience. Menu offerings include wok classics featuring rice, noodle and salad bowls along with lighter options such as lettuce wraps and sushi. Dishes are easily customized for a variety of palates and diets, including gluten-friendly and vegetarian. Pei Wei owns and operates restaurants in 20 states. For more information, visit peiwei.com, or follow Pei Wei on Facebook, Twitter and Instagram and Tiger on Twitter. Following the recent announcement of its merger with CraftWorks Restaurants & Breweries, the company has elevated restaurant industry veteran Tim Kaliher from Chief Operations Officer to Brand President of Logan’s Roadhouse, CraftWorks largest holdings, effective immediately. With 204 corporate and franchise restaurant locations in 22 states, Logan’s Roadhouse is a powerhouse leader in the casual dining space experiencing tremendous momentum, due in large part to its executive leadership team. Prior to joining Logan’s Roadhouse, Kaliher served as Chief Operating Officer of Black Bear Diners, Inc., a restaurant chain in the Western United States serving homestyle and “old-fashioned” comfort foods. Other past roles include Chief Operations Officer for O’Charley’s, as well as Regional Vice President of Operations for Red Robin. 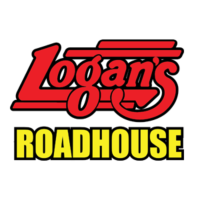 For more information about Logan’s Roadhouse, visit www.logansroadhouse.com. Logan’s Roadhouse is a leading casual dining steakhouse headquartered in Nashville, TN. Offering mesquite wood-fire grilled steaks, signature yeast roll and American-inspired signature favorites for 27 years, Logan’s has 204 corporate and franchise restaurants in 22 states. For more information, visit www.logansroadhouse.com. To become a fan of Logan’s Roadhouse on Facebook, visit www.facebook.com/Logans.Roadhouse. Dallas-based Cowboy Chicken is poised for significant growth through franchising and corporate expansion. Kip Kolow, co-founder of Boston Market, is now working as Chief Strategy Officer of the wood-fired rotisserie restaurant chain, joining forces with president and CEO Sean Kennedy to strengthen systems and put processes in place to expand the fast casual brand across the country. Kolow and Kennedy first met at an industry tradeshow in 2013, instantly connecting over their shared experience with national rotisserie chicken chains. They built a friendship over the ensuing years, so when Kennedy decided in 2017 that it was time for Cowboy Chicken to assess and refine its business in preparation for expansion, he knew who to call. Kolow joined Cowboy Chicken as a consultant in the summer of 2017, spending six months reviewing all facets of the brand’s business and beginning to build a framework for real growth. Named Chief Strategy Officer in January 2018, Kolow and Kennedy have now created and begun implementing a five-year plan for expansion that includes scalable systems for food production, an improved franchise communication system and infrastructure, accounting protocols and more strategic real estate initiatives. Looking ahead, Kennedy and Kolow plan to continue attracting area developers and multi-unit operators. They are focused on leveraging technology to better understand the business and customer behavior, as well as developing Cowboy Chicken’s robust database of customer information to identify ideal locations, strengthen logistics for food distribution and new store opening and development, and market the brand more efficiently. What began in 1981 as a single restaurant in Dallas has now grown into over 25 company-owned and franchised restaurants located throughout Texas and in Louisiana, Georgia, Oklahoma, Iowa, South Dakota and California. For more than 35 years, Cowboy Chicken has been serving all-natural, hormone-free rotisserie chickens that are hand-seasoned in store, marinated for 24 hours and then slowly roasted for two hours over a real wood-burning fire. Other dishes include signature sour cream tomatillo chicken enchiladas, abundant scratch-made sides such as Twice Baked Potaters™, Baked Mac & Cheese, Ranchero Beans and seasonal cobblers baked in-house daily. Cowboy Chicken’s hearty and healthy dishes are available during lunch and dinner for dine-in, take out, catering and delivery. On-the-go diners can order on the Cowboy Chicken app, available through the Apple App Store and Google Play Store, which allows guests to order ahead, pay with their phone at checkout and earn rewards. Visit www.cowboychicken.com for more information or to order online. Kona Grill, Inc. (NASDAQ: KONA), an American grill and sushi bar, today announced that its Board of Directors appointed Marcus Jundt and Steven Schussler as Co-Chief Executive Officers of the Company. Marcus Jundt is one of the founders of the Kona Grill concept and previously served as the Company’s CEO from 2006 to 2009. Steven Schussler is the founder of several successful concepts, among the most noticeable are Rainforest Café, T-Rex Cafe, Yak & Yeti, The Boathouse, and others. Both Messrs. Jundt and Schussler are currently directors of the Company. “The Board of Directors believes that the combined leadership and experience of Marcus and Steve will revitalize the Kona Grill brand as we focus on what has made this brand successful over the years,” said Berke Bakay, the Company’s Executive Chairman of the Board. “We thank Jim Kuhn for his time with the Company and wish him well in his future endeavors,” Bakay concluded. “I thoroughly enjoyed my time at Kona Grill working with the team and wish the Company all the best in the future,” said Jim Kuhn. Kona Grill features a global menu of contemporary American favorites, award-winning sushi, and specialty cocktails in an upscale casual atmosphere. Kona Grill owns and operates 44 restaurants, guided by a passion for quality food and exceptional service. Restaurants are located in 22 states and Puerto Rico. Additionally, Kona Grill has two restaurants that operate under a franchise agreement in Dubai, United Arab Emirates, and Vaughan, Canada. For more information, visit www.konagrill.com. Dynamic Hospitality Executive with Proven Track Record of Success to Focus on Enhancing Company’s Immediate and Long-Term Profitability Objectives. Chanticleer Holdings, Inc. (NASDAQ:BURG) (“Chanticleer” or the “Company”), owner, operator, and franchisor of multiple nationally recognized restaurant brands today announced the appointment of Fred Glick as the Company’s President. The Company anticipates he will also be appointed to its board of directors at its next meeting. Mr. Glick brings to Chanticleer expertise that encompasses organizational development, managerial development, business expansion, corporate imaging, and market penetration. He has a documented track record of achieving consistently positive sales and profit growth over many consecutive years, through corporate culture management and driving employee engagement. He maintains a passion for inspiring, developing, and managing high-performing teams to achieve and exceed organizational objectives. “I’m thrilled to join Chanticleer at such an exciting time in their growth curve. Having spent considerable time reviewing their better burger brands including Little Big Burger and Burgers Grilled Right, I think we have a uniquely strong foundation from which to accelerate future growth. I look forward to immediately rolling up my sleeves and getting to work helping to oversee our continued expansion, while most importantly enhancing our immediate and long-term profitability objectives”, stated Fred Glick. Most recently Glick served as the VP of Brewery Restaurants for Karl Strauss Brewing Company where he successfully executed hospitality and social media initiatives focusing on 5-star yelp experiences. During this time the company more than doubled their 5-star review average from under 30% to over 62% bringing all 10 locations to a 4 star or better average. While there, he also effectively rolled out HotSchedules and CTUIT tools for improved store level financial analysis and hourly productivity, successfully opened new flagship locations in Anaheim and Downtown Los Angeles locations, successfully rebranded and remodeled three locations leading to double digit sales increases, partnered with Ken Blanchard Companies to launch Blanchard certified management development programs, instilled Safe and Clean as core values to all employees and partnered with purchasing professionals to save several hundred thousand dollars in first year efficiencies. Prior to that he served five years as the VP of Operations for Phil’s BBQ, one of Southern California’s highest volume BBQ restaurants and served 15 years as president and COO of a $70 million, 25 store Hooters restaurant franchise he grew from a grass field in Omaha, NE. Little Big Burger (”LBB”) is a wholly-owned subsidiary of Chanticleer Holdings, Inc. Founded in Portland, OR in 2010, LBB is a counter service, fast-casual restaurant concept offering fresh, high quality cooked-to-order burgers, truffle fries and root beer floats. LBB has developed a cult-like following in the Pacific Northwest by offering a simple menu focused on delicious quality, served in a hip atmosphere. Parties interested in franchise opportunities should send an email to mp@chanticleerholdings.com or visit www.littlebigburger.com. BGR is helping lead the better burger market with a menu designed around our commitment to using only the highest quality ingredients. BGR’s menu is designed around burgers grilled over an open flame. BGR operates stores domestically and internationally, with franchise opportunities in both markets. For more information, visit www.bgrtheburgerjoint.com. Any statements that are not historical facts contained in this release are “forward-looking statements” as that term is defined under the Private Securities Litigation Reform Act of 1995 (PSLRA), which statements may be identified by words such as “expects,” “plans,” “projects,” “will,” “may,” “anticipates,” “believes,” “should,” “intends,” “estimates,” and other words of similar meaning. Such forward-looking statements are based on current expectations, involve known and unknown risks, a reliance on third parties for information, transactions or orders that may be cancelled, and other factors that may cause our actual results, performance or achievements, or developments in our industry, to differ materially from the anticipated results, performance or achievements expressed or implied by such forward-looking statements. Factors that could cause actual results to differ materially from anticipated results include risks and uncertainties related to the fluctuation of global economic conditions, the performance of management and our employees, our ability to obtain financing or required licenses, competition, general economic conditions and other factors that are detailed in our periodic reports and on documents we file from time to time with the Securities and Exchange Commission. The forward-looking statements contained in this press release speak only as of the date the statements were made, and the companies do not undertake any obligation to update forward-looking statements. We intend that all forward-looking statements be subject to the safe-harbor provisions of the PSLRA. SONIC Corp. (NASDAQ: SONC), the nation’s largest chain of drive-in restaurants, today announced that Chairman and Chief Executive Officer, Cliff Hudson, will retire and that President Claudia San Pedro will lead the company, effective as of the closing of SONIC’s proposed acquisition by Inspire Brands (“Inspire”), which is expected to occur in December, subject to shareholder approval. Mr. Hudson will assist with the transition, serving as Senior Advisor to SONIC until March 2019. Following completion of the transaction, Ms. San Pedro will report to Inspire Chief Executive Officer Paul Brown and will serve as part of the Inspire executive team. Mr. Hudson is a 34-year veteran of SONIC, joining as assistant general counsel in 1984. Appointed as CEO in 1995, Hudson led the brand’s growth from nearly 1,500 drive-ins in 27 states with systemwide sales of $905 million to 3,600 drive-ins in 45 states and systemwide sales of $4.5 billion. Only SONIC’s founder, Troy Smith Sr., led the company for a longer period of time (1953-1983). During Mr. Hudson’s leadership tenure, SONIC has become recognized as a champion for diversity and inclusion as well as a strong supporter of public education and community organizations across the state and nation. “It has been a great honor and privilege to lead, build and grow SONIC into the incredible brand it is today together with our dedicated franchisees and employees,” said Mr. Hudson. “Leading the company and brand Troy Smith founded 65 years ago has been the pleasure of a lifetime, and I know he would be proud of the growth that both the company and our franchisees have achieved. Ms. San Pedro was named President of SONIC in January 2018 and has served in various leadership roles at the company throughout her 12-year tenure. She joined SONIC in 2006 as Treasurer and was subsequently promoted to Vice President of Investor Relations. In 2015, she was named Chief Financial Officer, where she led all financial strategies for the company as well as the brand’s relationship with the financial community. Prior to SONIC, she served as the director for the Oklahoma Office of State Finance. SONIC, America’s Drive-In is the nation’s largest drive-in restaurant chain serving approximately 3 million customers every day. Ninety-five percent of SONIC’s more than 3,600 drive-ins are owned by local business men and women. For 65 years, SONIC has delighted guests with signature menu items, 1.3 million drink combinations and friendly service by iconic Carhops. Since the 2009 launch of SONIC’s Limeades for Learning philanthropic campaign in partnership with DonorsChoose.org, SONIC has donated $11.7 million to public school teachers nationwide to fund essential learning materials and innovative teaching resources to inspire creativity and learning in their students. To learn more about SONIC Corp. (NASDAQ/NM: SONC), please visit SONICdrivein.com and please visit or follow us on Facebook, Twitter and Instagram. To learn more about SONIC’s Limeades for Learning, please visit LimeadesforLearning.com. FoodFirst Global Restaurants, Inc., the owner of polished upscale casual dining brands BRIO Tuscan Grille and BRAVO Cucina Italiana, today announced the appointment of industry veteran Dave Pickens to the position of President & Chief Operations Officer. Pickens will be responsible for the oversight of all BRIO and BRAVO restaurants to ensure Operations Excellence, Guest Count Growth and Effective Cost Management. In addition, Pickens will focus on improving efficiency and elevating the quality of service for guests in accordance with FoodFirst Global’s mission of providing Good Food for the Planet™. Pickens has a highly successful track record in the casual dining industry. His career began as an hourly employee with Red Lobster and grew through all levels of operations. Pickens served with Blum on the Olive Garden leadership team as Executive Vice President of Operations during the brand’s monumental turnaround. He later served as President to carry the vision forward with consistently strong results. Blum and Pickens created extraordinary shareholder value for Darden as Olive Garden became its most profitable flagship brand, achieving 57 consecutive quarters of same-restaurant sales increases. Pickens will report directly to Blum and serve as a key member of FoodFirst Global Restaurants’ leadership team. He will directly oversee Executive Vice President of Operations for BRIO, Rob Viveros, and Senior Vice President of Operations for BRAVO, Lou Rios, in meeting and exceeding the company’s financial goals. In addition, Pickens, Viveros, Rios and Chief Culinary Officer John Imbriolo will work closely with Senior Vice President of Training and Operations Support for FoodFirst Global, Eric Tucker, on matters related to training and personnel development as the restaurants prepare to introduce significantly improved menus at both BRIO and BRAVO. Rounding out the leadership team are Chief Financial Officer Diane Reed, Chief Marketing & Technology Officer John Wong and Chief Development Officer Mike Ellis. For more information, please visit us at www.foodfirst.com. About FoodFirst Global Restaurants, Inc.
FoodFirst Global Restaurants, Inc.™ is a collaboration between restaurateur/owner-partner Brad Blum and GP Investments, Ltd. At FoodFirst Global Restaurants, we are building a platform to own a variety of brands and businesses. The mission for each of these brands and businesses is to provide Good Food for the Planet™. We are passionate about good food, know good food, enjoy good food, and are dedicated to always improving upon and consistently providing good food. For more information, visit www.foodfirst.com. A&W Restaurants hired Dave Crowley to head franchise development for the growing chain, as it approaches its 100th anniversary. Between 1997 and 2010, Crowley held various development positions with A&W. He returns after development stints with such recognizable brands as Yum! Brands, Little Caesars and Marco’s Pizza. In his newest capacity as Director of Franchise Recruitment, Crowley will recruit new franchisees and assist with location selection. A&W, which celebrates its centennial next year, has reported average same-store sales increases of over 33% since being acquired by a group of franchise partners in 2011. A&W has opened 45 units since the acquisition. Crowley looks forward to recruiting new franchisees and helping them grow their business. “This is an exciting time to be a part of a brand that’s on the move again,” he added. Celebrating its 100th anniversary in 2019, A&W Restaurants ranks #4 on Time Magazine’s 2018 list of America’s best fast-food chains. It still makes Root Beer fresh in each restaurant from real cane sugar, water and a proprietary blend of herbs, bark, spices and berries that are served in a frosty mug alongside burgers, fries, chicken tenders and other All American Food® favorites. There are nearly 1,000 locations worldwide. On October 30, 2018, the Board of Directors of Red Robin Gourmet Burgers, Inc. (the “Company”) appointed Dave Hansen, 44, to serve as Chief Accounting Officer of the Company. Mr. Hansen has served as the Vice President, Controller of the Company since March 2017 and prior to that served as the Company’s Director of Corporate Accounting since August 2013. There are no arrangements or understandings between Mr. Hansen and any other persons, pursuant to which he was appointed as Chief Accounting Officer, no family relationships among any of the Company’s directors or executive officers and Mr. Hansen, and he has no direct or indirect material interest in any transaction required to be disclosed pursuant to Item 404(a) of Regulation S-K promulgated under the Securities Act of 1933, as amended. In connection with the appointment to his new position, Mr. Hansen’s annual base salary will be increased to $240,000 effective October 22, 2018. He will continue to be eligible to participate in the Annual Corporate Bonus Plan and to receive an annual Long-Term Incentive grant at the Vice President level in each case at the same target levels, subject to adjustment to reflect his new base salary on a prorated basis. The Habit Restaurants, Inc. (Nasdaq: HABT) (“The Habit”), today announced the appointment of Iwona Alter as Chief Brand Officer effective December 10, 2018. Most recently Ms. Alter served as Jack in the Box’s Chief Marketing Officer and was responsible for all marketing functions including Culinary Development, Product Management, Marketing Communications, Innovation, and Regional Marketing. Prior to her tenure with Jack in the Box, she held various marketing roles both domestically and internationally at other major corporations such as Elmer’s Products, Shiseido Company Ltd., Johnson & Johnson, and J. Walter Thompson. Ms. Alter received her MBA in Marketing from Fordham University and a Bachelor of Business Administration degree from Baruch College in New York. The Habit Burger Grill is a burger-centric, fast casual restaurant concept that specializes in preparing fresh, made-to-order chargrilled burgers and sandwiches featuring USDA choice tri-tip steak, grilled chicken and sushi-grade tuna cooked over an open flame. In addition, it features fresh made-to-order salads and an appealing selection of sides, shakes and malts. The Habit was named the “best tasting burger in America” in July 2014 in a comprehensive survey conducted by one of America’s leading consumer magazines. The first Habit opened in Santa Barbara, California in 1969. The Habit has since grown to over 240 restaurants in 11 states throughout California, Arizona, Utah, New Jersey, Florida, Idaho, Virginia, Nevada, Washington, Maryland and Pennsylvania, as well as six international locations. On the heels of its annual convention, where Checkers & Rally’s laid out a detailed plan on how to level-up in all aspects of the business in 2019, the brand has another exciting announcement to make: financial executive Bob Baker joined the leading burger franchise’s leadership team as Chief Financial Officer. Baker is a franchise industry veteran, most recently serving as CFO at Benihana, Inc. from 2015 until 2018. Before Benihana, Inc., Baker was President and CFO at Café Rio Mexican Grill, a fast-casual Mexican concept, where he guided the team over a nine-year period and helped grow the company from six restaurants to 72 restaurants. Before his role at Café Rio, and for the majority of his professional career, Baker was with Yum! Brands. For 16 years, Baker worked in various roles with the QSR brand, including positions in financial and strategic planning, mergers and acquisitions, accounting and field finance positions. During his time at Yum! Brands, Baker also worked as a multi-unit operator for a three-year period between his financial roles, giving him a detailed view of the brand through the lens of an operator. This is a similar approach to Checkers & Rally’s, where the brand opens corporate restaurants in select markets to gain insightful data to help franchisees find success. Baker joined the Checkers & Rally’s team a year after its purchase by Oak Hill Capital at a time when the brand’s growth is at an all-time high. The brand is on pace for 50 restaurant openings in 2018, including the anticipated landmark opening of its 900th restaurant before the end of the year. These strong numbers are coming off a record-breaking year in 2017, when the brand also opened 50 new restaurants and signed 44 new franchise partners. With this momentum, the brand’s overarching goal of hitting 1,200 restaurants by 2020 is well within reach. Based in Tampa, Fla., Checkers & Rally’s Restaurants, Inc., an iconic and innovative drive-thru restaurant chain known for its “Crazy Good Food,” exceptional value, and people-first attitude, operates and franchises both Checkers® and Rally’s® restaurants. With more than 870 restaurants and room to grow, Checkers & Rally’s is a proven brand with flexible building formats that is aggressively expanding across the country. Checkers & Rally’s is dedicated to being a place where franchisees and employees who work hard can create opportunity for themselves, their families, and their communities. In recent years, the brand has been awarded several of the industry’s most prestigious awards including: Ranking #140 on Entrepreneur’s 2018 Franchise 500, Top Food and Beverage Franchise by Franchise Business Review, 2016, 2017 and 2018 Best Franchise Deals, “Best Drive-Thru in America” by QSR Magazine, the “Hot! Again” award from Nation’s Restaurant News, and “#1 Most Craveable Fries” by Restaurant Business. 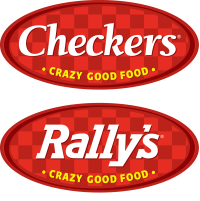 For more information about franchise opportunities with Checkers & Rally’s, please visit http://www.checkersfranchising.com. In an announcement made by Mike Archer, chief executive officer of Leawood, Kansas-based HRI, Inc., the company has named three new members to the HRI, Inc. executive team – Chad Devorak, Senior Vice President of Operations for Houlihan’s Restaurant + Bar; Bill Leibengood, Chief Marketing Officer, HRI, Inc.; and Terry Harryman, Chief Financial Officer, HRI, Inc.
As senior vice president of operations for Houlihan’s, a new role within the organization, Devorak will be responsible for all aspects of operations within Houlihan’s central division. Devorak spent the past twenty years with Yard House in various roles, most recently as Regional Vice President of Operations where he was responsible for more than 30 Yard House restaurants with sales in excess of $270M annually. “Chad is absolutely the right person for this role,” said Archer. “He has a proven track record of success with unwavering commitment and loyalty to his team. He is a true leader who leads by example.” According to Archer he created the role to ensure he had top talent leading the Houlihan’s brand. Industry veteran Bill Leibengood was tapped as chief marketing officer and will be responsible for all aspects of marketing, advertising and menu strategy for HRI, Inc. Leibengood is a well-known leader in the industry with more than twenty years of leadership experience, including his most recent role as vice president of marketing for Wingstop. Throughout his three years with Wingstop he played a pivotal role in the company’s success, which included an increase in same store sales growth and industry leading social performance. Prior to joining Wingstop, Leibengood spent ten years with Applebee’s International including the role of executive director of brand management. As head of brand management, Leibengood was instrumental in driving same store sales and was also credited for aligning a bar revitalization program and late night promotion that drove incremental sales. In addition to his restaurant industry roles, Leibengood brings eight years of advertising agency experience to his new role as chief marketing officer. Rounding out the executive team is Terry Harryman who has been named chief financial officer. Harryman will oversee the areas of finance, technology and supply chain for HRI, Inc. Harryman brings thirty years of experience to his new role, including his most recent position as vice president of finance, planning and investor relations at Red Robin Gourmet Burgers where he was responsible for all aspects of finance for the 570-unit publicly held chain. Harryman also spent sixteen years with SONIC Corporation where he held various leadership roles, including vice president and controller. The senior vice president of operations and the chief marketing position are new roles within the organization, while Harryman replaces Bob Nygren who recently left the company to become chief executive officer at Wild Wing Café. Based in Leawood, Kansas, Houlihan’s Restaurants, Inc. (HRI) has developed and owns several restaurant concepts in the polished casual and fine dining space. For information on Houlihan’s or for information on franchise opportunities, visit www.houlihans.com. Luby’s, Inc. (NYSE: LUB) announced today the appointment of Benjamin (Todd) Coutee to Chief Operating Officer, effective immediately. In conjunction with this management change, Peter Tropoli will now assume the role of General Counsel for Luby’s, Inc. Tropoli has served in various senior executive management positions at the Company for more than 18 years and has a broad range of corporate management, restaurant industry, and public company legal experience. Coutee has more than 30 years of hospitality and restaurant operations experience. He has led multiple teams at the Company as a SVP of Operations at Culinary Contract Services, Luby’s Cafeteria’s and Fuddruckers since rejoining Luby’s in 2006 as an Area Leader for the cafeteria segment. Previously he spent ten years in the hospitality and restaurant industry in various operational leadership positions, including as the Executive Director of Operations for Aramark’s Educational Food Service Division. He began his career with Luby’s Cafeteria in 1989 as an assistant manager and then spent ten years in leadership roles in operations and training. Luby’s, Inc. (NYSE: LUB) operates 146 restaurants nationally as of August 29, 2018: 84 Luby’s Cafeterias, 60 Fuddruckers, two Cheeseburger in Paradise restaurants. Luby’s is the franchisor for 105 Fuddruckers franchise locations across the United States (including Puerto Rico), Canada, Mexico, the Dominican Republic, Panama and Colombia. Additionally, a licensee operates 36 restaurants with the exclusive right to use the Fuddruckers proprietary marks, trade dress, and system in certain countries in the Middle East. The Company does not receive revenue or royalties from these Middle East restaurants. Luby’s Culinary Contract Services provides food service management to 28 sites consisting of healthcare, corporate dining locations, and sports stadiums. Shannon Glaser’s mother introduced her to franchising when she was only 22, and more than 15 years later her zest and talent for the industry continues, with Glaser recently being named Vice President of Business Development for Salsarita’s Fresh Mexican Grill, the fast-casual chain with more than 80 locations in 18 states. Glaser learned the fundamentals of the franchising industry while helping her mother franchise a children’s photography business, taking it from inception to more than 100 locations from coast to coast in three years. Glaser followed that success when she was named director of franchise development for Front Burner Restaurants’ brand, Twin Peaks in 2010. During her six-year tenure, Twin Peaks grew from five locations to almost 90 and was named “Fastest Growing Chain Restaurant” in 2014. Prior to joining Salsarita’s, Glaser ran her own firm, Elevate Franchise Experts, providing consulting services in all areas of development to start-up franchise concepts. In addition to her wealth of franchising experience, Glaser holds a master’s degree in Global Business and Marketing Management from the University of Dallas and she earned Certified Franchise Executive designation from the International Franchise Association in 2013. Founded in Charlotte in 2000, Salsarita’s offers Mexican favorites such as six flavorful house-made salsas, custom burritos, tacos, nachos and salads all made fresh to order with an extensive selection of proteins, toppings and fillings. In 2017, Salsarita’s refreshed its brand image – it was formerly known as Salsarita’s Fresh Cantina – introducing a new logo and new store prototype featuring vibrant color schemes that reflect its fresh ingredients along with light wood and exposed ceilings. Drive-thrus are also an option for suitable locations. While with the Twin Peaks restaurant brand, Glaser sold more than 120-plus franchise commitments over a four-year period, including a 35-store franchise commitment covering a six-state region. Similarly, Glaser wants to use her past experience and success in multi-unit development to bolster Salsarita’s growth. Although its boasts locations in 18 states, the majority of Salsarita’s stores are in the Southeast. For more information, visit www.salsaritas.com, like us on Facebook at http://www.facebook.com/salsaritas and follow us on Twitter and Instagram @salsaritas. Coolgreens, a healthy lifestyle eatery that focuses on providing fresh and high-quality food, is thrilled to announce Mark Ramage will be joining the leadership team as the company’s new Vice President of Franchise Development. Ramage will bring nearly 20 years of franchising experience to the healthy eating brand. Ramage experienced his initial entrance into the restaurant sector when he joined The Findley Group in 2006, and worked with one of franchising’s most well-known players, Gary Findley. In 2009, Ramage entered the food franchising sector with a position at Red Mango. At Red Mango, Ramage was responsible for the brand’s national growth and development in 12 states. In his first year at Red Mango, Ramage helped the brand sell 36 units. From Red Mango, Ramage went to work in the fast-casual sector by taking a leadership position at Pie Five Pizza as their director of development and was later promoted to vice president of franchise development. His accomplishments at Pie Five Pizza included awarding and signing 38 new franchise area developments for more than 530 restaurants in just over three years. In 2016, Ramage went to Smash Burger, where he was the head of franchise development and sales, and in October of 2017 he joined the team at Wing Stop. At Wing Stop, Ramage signed 36 locations in the fourth quarter of 2017 and 79 locations in 2018, which included the brand’s first casino location. Ramage discovered Coolgreens through a LinkedIn post and reached out to a recruiter to learn more about the development opportunity. He fell in love with the Coolgreens concept, an emerging lifestyle eatery that is making its mark in the franchising world, and was sold on the concept and opportunity after speaking with Coolgreens’ leadership team including: CEO Robert Lee, Vice President of Operations Todd Madlener and Director of Operations and Training Amanda Powell. Coolgreens launched its first franchise agreement in 2017 and the brand has aggressive growth goals for 2019. With an initial investment of $296,732 to $482,600, Coolgreens is targeting entrepreneurial-minded sophisticated restaurant operators to expand the brand in key markets across the United States. In early-2019, Coolgreens will be opening its first batch of franchised locations throughout Oklahoma and Texas in markets including: Tulsa, Dallas, Southlake and Plano. Building on this growth momentum, the brand is also planning large expansion into major markets including Miami, Florida; Salt Lake City, Utah; Denver, Colorado; and San Diego, California, as well as markets including Austin, Texas; Albuquerque, New Mexico; and Las Vegas, Nevada. Overall, Coolgreens has its sights set on opening 25 locations in 10 markets and is excited to partner with multi-unit franchisees and offer a business model centered around operational efficiency. ABOUT COOLGREENS: Coolgreens, a down-the-line fresh, naturally sourced food concept, offers build-your-own salads, wraps, bowls, flatbreads, and more all through a chef-curated menu. The menu highlights limitless combinations of fresh lettuce, vegetables sliced fresh in-store each day, house-made toppings, dressings made from scratch, and options for all dietary needs, including gluten-free, carb free, and low fat. Founded in 2009 in Oklahoma City, the brand quickly grew to seven corporate-owned locations, before launching its first franchise offering in mid-2017. For more information please visit http://www.coolgreens.com/. E&G Franchise Systems announced today the addition of Stephanie Schon as Chief Operating Officer (COO) effective immediately. Ms. Schon holds a BA from Northwestern University and an MBA from University of Denver, then went on to work for IBM as a Senior Project and Program Manager for a decade. She is well-versed in business and the restaurant industry with expertise in strategy, operations, and technology. She most recently served as Director of Strategy Execution and Project Management at Buffalo Wild Wings where she implemented and managed a new enterprise-level strategic planning process and led the execution of the organization’s key initiatives, such as a new online ordering platform. Her prior years, as a consultant, gave her the opportunity to provide strategy management consulting and implement large IT initiatives, such as a new POS rollout at other franchise concepts. Ms. Schon will be assuming the day-to-day management of the brand through staff coaching/ mentoring and process improvement. “E&G Franchise Systems continues to grow and provide value to the communities we touch. We are profoundly pleased that Ms. Schon is joining our team and helping us to embark on the next step in our company’s future,” said President and CEO Eric Wolfe. Founded in 1988 in Eau Claire, Wis., and themed originally from a child’s storybook, Erbert & Gerbert’s has grown to more than 90 locations in 16 states, with locations ranging from urban centers to rural areas under the leadership of president and CEO Eric Wolfe, who led an investment group to acquire the company in 2004. For franchising information, visit http://www.erbertandgerberts.com. Since its inception in 1940, when the first Dairy Queen location opened its doors in Joliet, Illinois, the chain has been a front runner in the quick service restaurant (QSR) industry. With more than 6,800 franchised locations, over 2,700 of which are the new DQ Grill & Chill model, the brand’s growth momentum is showing no signs of slowing down. Much of this success can be attributed to the brand’s unparalleled legacy, rich in tradition and nostalgia, and the backing of a strong corporate leadership team. Gearing up for a strong close to 2018, American Dairy Queen Corporation (ADQ) is excited to announce the addition of Julie Davis to the corporate team as the brand’s new Franchise Development Director. For nearly 20 years, Davis has held franchise development leadership positions with various franchise brands in the QSR space including Schlotzsky’s, Popeyes, Dunkin’ Brands and El Pollo Loco. Through these various positions, Davis has been able to drive her expertise specifically in the QSR segment, building trust and consistency with prospective franchisees looking to grow within QSR. Davis was initially drawn to the Dairy Queen system through the initial stages of the interview process when she saw the transparency and knowledge behind the leadership team. Instead of looking to fill the role quickly, she noticed the corporate staff wanted to fill the role with the right person who would be there for the long run. Davis is excited to join the dynamic team as they put a large focus on technology and growth moving into 2019. Davis plans to hit the ground running in her new development role at ADQ. She will spearhead growth through a multi-unit lens utilizing technology to target both new and existing markets with forecasted success. Specific markets of interest include Sacramento, California; Baltimore, Maryland; and Orlando, Florida as it sets its sight on growth through the remainder of the year. International Dairy Queen Inc., (IDQ), based in Minneapolis, Minnesota, is the parent company of American Dairy Queen Corporation. Through its subsidiaries, IDQ develops, licenses and services a system of more than 6,800 locations in the United States, Canada and more than 25 other countries. IDQ is a subsidiary of Berkshire Hathaway Inc. (Berkshire) which is led by Warren Buffett, the legendary investor and CEO of Berkshire. For more information visit http://www.DairyQueen.com. Cicis, the nation’s leading pizza buffet restaurant known for its unlimited pizza, pasta, salad and dessert buffet, has named Toni Bianco as its new Chief Operating Officer. Bianco, who joined the company in September, heads day-to-day operations and oversees all training for Cicis’ more than 430 corporate-owned and franchised restaurants. Bianco most recently served as President and COO of Fatburger North America, where he expanded the brand’s presence worldwide through strong operations strategies. In previous roles, Bianco was COO and SVP of International overseeing global operations, training, development and IT at Long John Silver’s. Prior to that Bianco oversaw international expansion deals while serving as Vice President for Asia at Papa John’s. Bianco succeeds Jini Foust, who stepped down in April. Founded in 1983, Irving, Texas-based Cicis invented the Unlimited Pizza Buffet concept, offering guests a wide variety of pizzas, including traditional crust and flatbreads, along with pastas, salads and desserts for dine-in, to-go and catering. With more than 430 restaurants in 32 states, Cicis has been ranked by CNN Money as the #1 “Casual Dining Pizza Chain (for your money) in America,” named by Technomic as the #2 “Most Kid-Friendly Chain as voted by Millennial Moms” and Nation’s Restaurant News recognized Cicis among its Top 200 Restaurant Chains in 2018. For more information about Cicis, visit cicis.com or Facebook.com/cicis. For franchising information, contact Michael Iglesias at miglesias@cicispizza.com or 972-745-9313 or visit franchise.cicis.com. Christa Quarles will step down as OpenTable CEO, effective at the end of the year. Quarles notified OpenTable staff via email this morning. Kayak CEO Steve Hafner will take the lead at OpenTable with no plans to name a new CEO. “It’s a recognition that we’ve combined both OpenTable and Kayak functionally, by department. We have one marketing team, one finance team, one product team,” he said. Kayak, like OpenTable, is part of the larger Booking Holdings group. In June parent company Booking Holdings made big executive changes at OpenTable, removing some of Quarles’ authority and resources and placing her under Hafner. As part of the restructuring, which Hafner characterized as a directional change in a memo to OpenTable staff, other high-level positions at OpenTable were eliminated, including its chief financial officer role and senior marketing and product positions. Other high-level employees were shifted under Kayak’s structure: OpenTable’s chief technology officer and general counsel now report to Kayak executives with the same titles. Quarles was named OpenTable’s chief financial officer in May of 2015, then assumed the role of interim CEO in September. She was named permanent CEO in November 2015, over a year after the company’s $2.6 billion acquisition by Booking Holdings, then named The Priceline Group. She worked to move OpenTable from its former occasion-based white tablecloth image to broaden the range of restaurants the company serves. During her first year with the company, she met with 120 chefs, restaurateurs, and general managers in an effort to inform product changes. Hafner remained consistent in his message that the consolidation of Kayak and OpenTable’s teams does not represent decreased interest from their parent company. Priceline took a $941 million write-down on OpenTable two years ago. “The write-down didn’t reflect our opinion of what its value was, it reflected our auditor’s opinion of what the value was,” he said. Instead, he outlined four major company initiatives he plans to accelerate. Some seem directly positioned to compete against younger companies like Resy, which were able to go to market with more modern technology, identifying customer complaints and perceived weaknesses in the incumbent OpenTable. His top priorities include transitioning restaurants from OpenTable’s outdated in-restaurant hardware to its new, cloud-based GuestCenter product, and diving deeper into point-of-sale system connectivity in order to provide restaurants with more data about OpenTable diners. Hafner also said that the company has been experimenting with its pricing structure, long a lament of some restaurant customers. It charges $1 per seated diner delivered through an OpenTable platform on top of a monthly fee. “We’ve been doing a lot of tests and I’m very confident we’ll announce a change in our pricing model in the next quarter or so,” he said. And, finally, what he called original premise of why Booking Holdings bought OpenTable: to take the company global. “I think restaurants are probably the one category where, specifically, an American company has not exported that business model and that success internationally,” he said. Ray Titus, CEO of United Franchise Group (UFG) announced today that Jim Butler, who has been in the franchising industry for nearly 30 years, will be Division Leader of UFG’s newly created Food Division scheduled to begin in 2019. Butler will assume the role of president for Jon Smith Subs and The Great Greek Mediterranean Grill. CEC Entertainment, Inc. announced the appointment of Mahesh Sadarangani to President of Peter Piper Pizza, effective immediately. Sadarangani joins a leadership team, which includes operations led by Mark Eastham and finance led by Rex Moffett. In this role, he will oversee strategic business development and growth. Sadarangani joined CEC in August 2014 and most recently served as Chief Administration Officer, leading strategy, revenue management, games, supply chain and warehouse functions for the company. 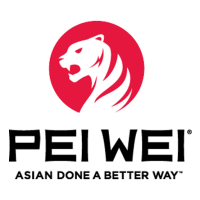 Prior to joining CEC, Sadarangani oversaw revenue management for Reddy Ice and led the successful merger of Greatwide Logistics and Cardinal Logistics. This announcement comes on the heels of CEC Entertainment appointing Sherri Landry as Chief Marketing Officer of Peter Piper Pizza in August. In her role, Landry is responsible for leading the brand strategy as well as creative development and effectiveness of advertising, digital, innovation and in-restaurant consumer experience. Landry joins CEC with vast experience in marketing and brand strategy across restaurant, CPG and retail industries and most recently served as senior vice president and head of marketing at Which Wich, Inc.
Peter Piper Pizza operates 103 venues nationwide, recently opening locations in Oklahoma, Nevada, New Mexico, Arizona, Texas and Florida featuring an all-new prototype design. CEC Entertainment is the nationally recognized leader in family dining and entertainment with both its Chuck E. Cheese’s and Peter Piper Pizza restaurants. As the place where a million happy birthdays are celebrated every year, Chuck E. Cheese’s goal is to create positive, lifelong memories for families through fun, food, and play and is the place Where A Kid Can Be A Kid®. Committed to providing a fun, safe environment, Chuck E. Cheese’s helps protect families through industry-leading programs such as Kid Check®. As a strong advocate for its local communities, Chuck E. Cheese’s has donated more than $16 million to schools through its fundraising programs and supports its new national charity partner, Boys and Girls Clubs of America. The Company and its franchisees operate a system of 605 Chuck E. Cheese’s and 149 Peter Piper Pizza stores, with locations in 47 states and 14 foreign countries and territories. Before joining the National Restaurant Association, Sweeney was president and CEO of AARP Services. She has more than 25 years of marketing, advocacy and policy experience, including leadership roles at the National Rural Electric Cooperative Association and the International Dairy Foods Association, the trade association for the nation’s dairy foods industry, where she launched the “milk mustache” advertising campaign. To learn more about the dinner and reserve attendance, visit www.hhd.psu.edu/shm/hospitality-executive-year-event. The Penn State Hotel & Restaurant Society was founded to strengthen all hospitality professions and enhance the reputation of the Hospitality Management program. PSHRS is an Affiliate Program Group of the Penn State Alumni Association and the College of Health and Human Development Alumni Society. PSHRS provides a means for achieving closer fellowship among alumni, faculty and students. PSHRS serves those who are currently attending Penn State in hospitality management or who are graduates of the program, as well as those who work within the hospitality management industries and have attended Penn State or are friends of the program. Established in 1937, Penn State’s School of Hospitality Management is one of the nation’s oldest and most respected. Its top-ranked undergraduate and doctoral programs prepare global leaders with a rigorous, diverse curriculum focused, since its inception, on engaged scholarship, featuring partnerships with Penn State Hospitality Services, Housing and Food Services, and top global hospitality brands. It’s also home to the oldest Penn State alumni program group, the Penn State Hotel & Restaurant Society. For more information about the school, contact Brian Black, director of industry and alumni relations, at bab180@psu.edu or 814-865-1853. Boston’s Pizza Restaurant & Sports Bar (Boston’s), a national casual dining brand that combines a family-friendly casual dining restaurant and a fan-favored, energetic sports bar under one roof has named two franchise industry veterans to its leadership team. With more than 23 combined years of experience in the franchise space, Ryan Reeves will assume the role of Vice President of Sales and Adam Garner will take the role of Vice President of Operations at Boston’s as the brand gears up for momentous growth and development. With a strong background in franchise sales, Ryan Reeves comes to Boston’s from SpeedPro Imaging where he dedicated himself to helping business professionals transition into small business ownership through their investment in the brand. Prior to SpeedPro, Reeves held roles in franchise sales at dining brands like McAlister’s Deli and Dickey’s Barbecue Pit as well as headed up business development for a wide variety of technology brands. With a finger on the pulse of innovation and development, Reeves is equipped to take the brand to new heights as well as serve as an experienced guide and mentor for franchisees as they embark on the journey of entrepreneurship with Boston’s. No stranger to the restaurant franchise space, Adam Garner previously worked as Vice President of Operations at Which Which Superior Sandwiches where he helped the brand reach its growth potential through supervising all aspects of operations from training to catering and guest services. Prior to Which Which, he spent five years with FOCUS Brands/Schlotzky’s developing the brand’s operations on the franchise side. Garner’s extensive experience has perfectly primed him to provide strong leadership and strategic plans for development operationally for Boston’s in the years to come. Boston’s offers a contemporary, sit-down family dining atmosphere with a separate sports bar, allowing for family and friend gatherings of all sizes. While Boston’s specializes in gourmet pizza and pasta, its menu features nearly 90 items including salads, sandwiches and a variety of favorites such as burgers, wings and ribs, giving guests an offering of traditional American cuisine. Boston’s Restaurant & Sports Bar’s U.S. operations are based in Dallas and the brand currently has 23 locations operating in 16 states. The company’s sister brand, Boston Pizza, has over 400 locations throughout Canada and is the No. 1 casual dining brand in the country. To find a Boston’s near you, visit https://www.bostons.com/. For more information about the Boston’s franchise opportunity, please visit https://www.ownabostons.com/. Boston’s is both a family-friendly casual dining restaurant and an energetic sports bar, all under one roof. For over 50 years, Boston’s has specialized in providing a relaxing atmosphere and food from scratch to parties of all sizes. With Boston’s brand promise, “We’ll make you a fan,” and 80+ menu items, primarily made in-house, they deliver on having something for every occasion and taste. Boston’s is recognized on FSR Magazine’s annual list of high-potential full-service brands and is currently ranked No. 89 on the 2018 Franchise Times Top 200 (Plus 300) list. With sales exceeding $1 Billion in system-wide gross sales, Boston’s grows through franchising and is currently looking to expand around the US and Mexico. Visit www.ownabostons.com today. Joseph D. Christina, CEO of Church’s Chicken®, announced today the hiring of Randall Lawrence, as the Vice President of Supply Chain. An accomplished supply chain and operations executive with more than 30 years of experience in the Food and Beverage industry, Lawrence will report directly to Christina. Prior to accepting the position at Church’s, Lawrence served in a similar capacity for Bojangles Restaurants Inc., where he was responsible for end-to-end supply chain operations, including quality assurance, planning, procurement, and distribution for more than 750 company-owned and franchised restaurants in the US. Lawrence earned his MBA in Business Administration from Berry College, and is a member of the American Production & Inventory Control Society. During his career he has served as VP Supply Chain, Bojangles, Charlotte, NC; VP QCC Operations-North America, Papa John’s Inc., Louisville, KY; VP Global Contract Manufacturing, Starbucks Coffee Company, Seattle, WA; Plant Manager, ConAgra Foods, Indianapolis, IN; and Plant Manager, Sara Lee (formerly Earthgrains), Chicago IL. Founded in San Antonio, TX in 1952 by George W. Church, Church’s Chicken, along with its sister brand Texas Chicken outside of the Americas, is one of the largest quick service chicken restaurant chains in the world. The brands specialize in Original and Spicy Chicken freshly prepared throughout the day in small batches that are hand-battered and double-breaded, Tender Strips®, sandwiches, honey-butter biscuits made from scratch and freshly baked, and classic, home-style sides all for a great value. Church’s Chicken and Texas Chicken have more than 1,500 locations in 23 countries and global markets and system-wide sales of more than $1 billion. For more information, visit www.churchs.com. Follow Church’s on Facebook at www.facebook.com/churchschicken and Twitter at www.twitter.com/churchschicken.